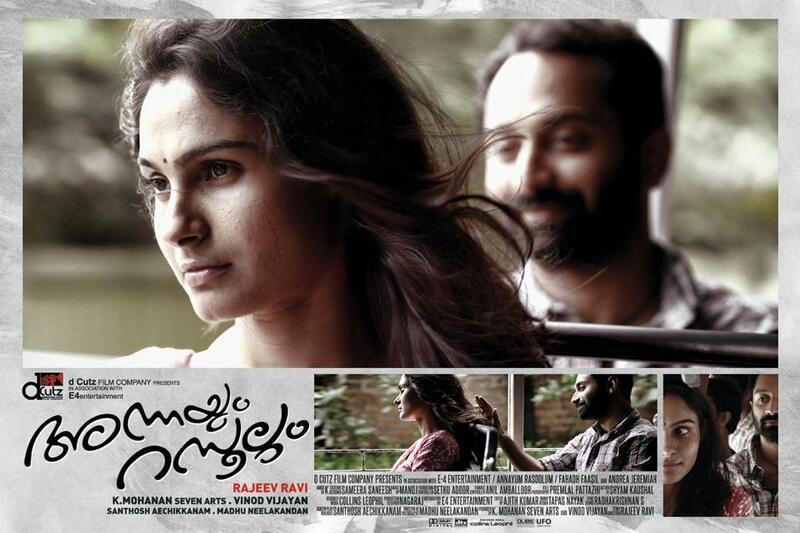 Rajeev Ravi’s directorial debut, Annayum Rasoolum, is not a boring stuff. In fact it is a beautiful love story where reality is not a myth. Then why these negative screams? The answer lies on the supernatural cinematic beliefs of the audience. But fortunately Annayum Rasoolum was able to collect positive applause from a mass audience in Kerala. The only drawback pointed out everywhere is the length of the movie. 3 hours is suitable for a Yash Chopra romance or Ashutosh Gowariker magic. But Rajiv Ravi is not willing to apply scissors on his dream work. At this particular point, some theatres envisioned something far beyond the director and around 20 minutes from the reel has gone with the wind. 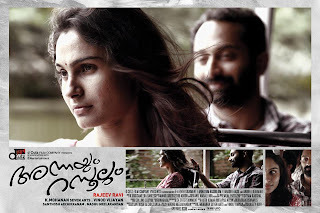 Fahad Fazil, Aashiq Abu, Renjith, Andrea Jeremiah, Sunny Wayne etc. fit perfectly in their respective roles. Songs are not that much appealing and some lyrics and music has an artificial tint. If there was brevity in the narration, it could have won more hearts. But for every filmmaker or artist, their work of art is like their child. For them, it is the zenith of perfection. So no more comments on that. Someone may call this movie an extra-realistic or over realistic work. But the fact is that, the hours we spend with this movie are not worthless. Yeah, Annayum Rasoolum is a slow paced movie. But that is the pace of life and reality. As a box-office verdict, I must say, Annayum Rasoolum is really awesome. Only a factor of fine tuning is lacking.